Restylane Kysse is a sterile, transparent, hyaluronic acid gel that can be injected into the lips. Inject Restylane Kysse into the lips or the skin around the lips to restore or add volume, definition, and moisture to the lips or to smooth the appearance of rough or wrinkled skin. Only authorized personnel in accordance with local regulations should administer Restylane Kysse injections. Restylane Kysse is also known as Emervel Lips Lidocaine and it is one of the products within the popular Emervel Collection. This Optimal Balance Technology™ helps create just the right size of hyaluronic acid particle to smoothly fill the lips, without adding free hyaluronic acid to the gel. This means there is less chance of unwanted swelling after the Restylane Kysse injection. 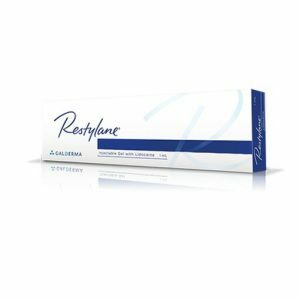 Formulated specifically for lip enhancement and definition, Restylane Kysse is of the optimal texture to provide volume to the lips while being soft enough to be used in this delicate area. This formulation contains lidocaine as a means to diminish pain resulting from the injection during the treatment. Results are instant and natural-looking, and effects are long-lasting. 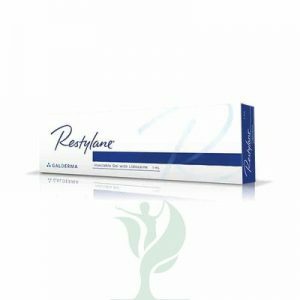 Restylane Kysse contains cross-linked hyaluronic acid that has been passed through a sieve. As you inject the cross-linked hyaluronic acid into the lip mucosa or into the area around the lips, the particles hold moisture, which adds volume to the lips while retaining moisture. This helps make the lips plumper while also adding definition to the lip edges and giving the skin a smoother texture. This either restores or enhances the appearance of the lips to be more plump and youthful.